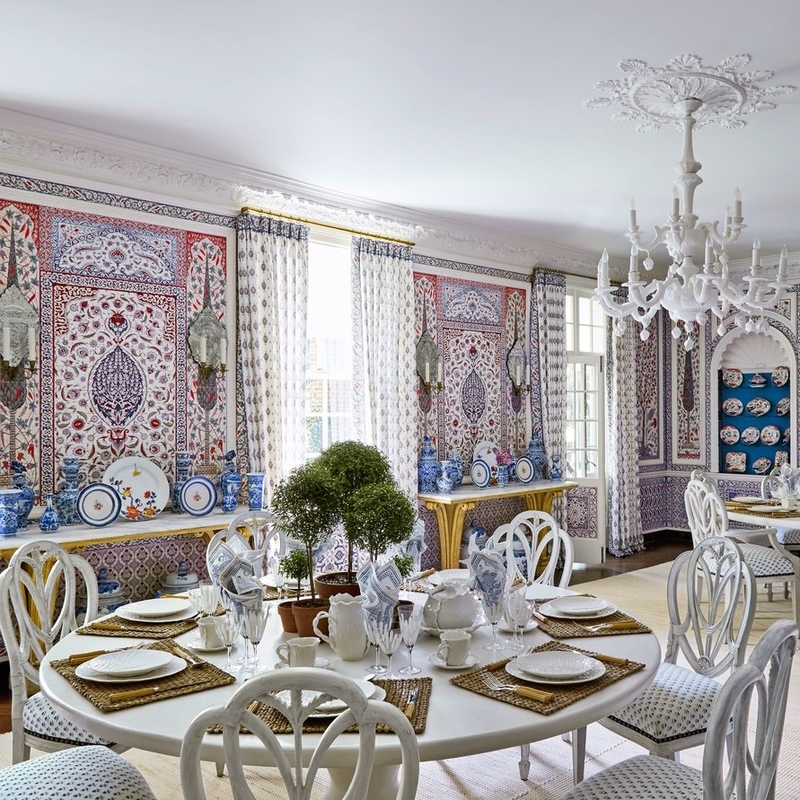 Tory Burch's dining room at her home in the Hamptons. Designed by Daniel Romualdez. Photo via Architectural Digest. Iksel is incredibly versatile, offering custom printing not just on paper for walls; it can produce coordinating fabrics (as in Tory's dining room) or printing on a variety of media to allow them to service literally any surface imaginable. Photo originally appearing in Vogue magazine. 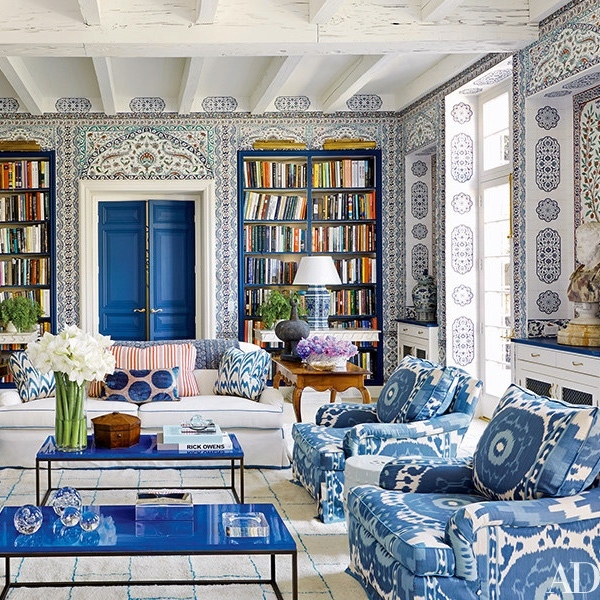 Miles Redd wrapped the primary family room in this Houston home with Iksel's custom Iznik paper. The paper instantally imparts age and depth. Photo originally appearing in Architectural Digest. 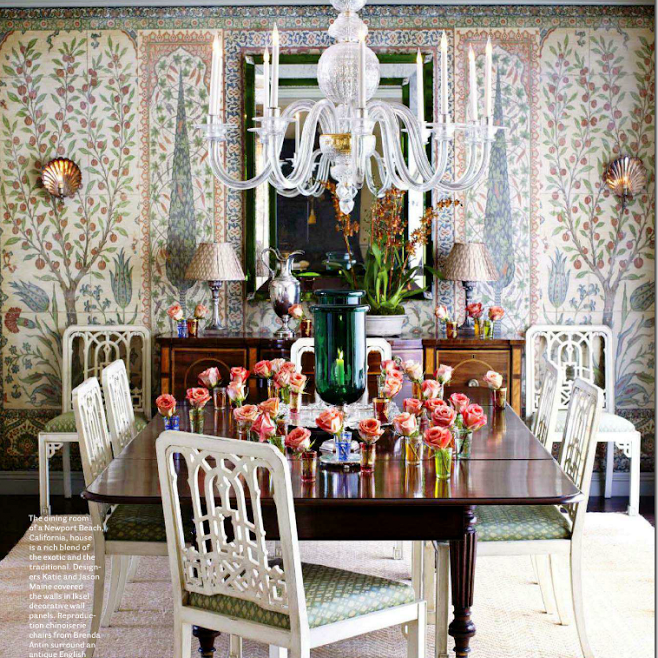 Dining room by Mark D. Sikes, featured in House Beautiful. 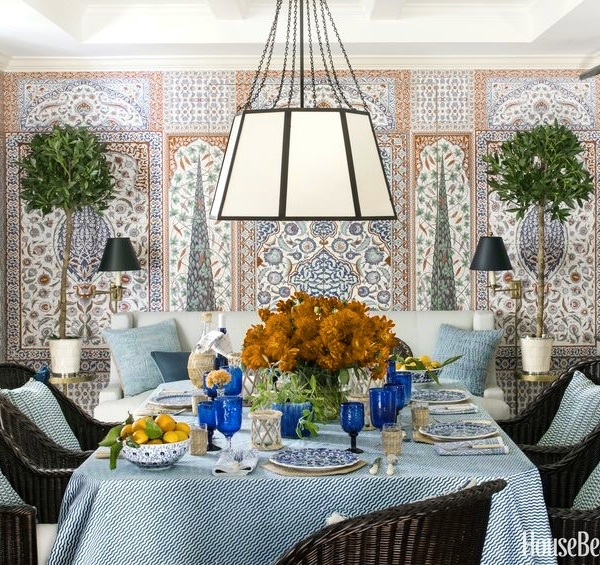 Another beautiful photo of the Pacific Palisades dining room by Mark D. Sikes featuring Iksel's custom Iznik paper. Photo originally printed in Mark's book, Beautiful. Another dining room, this one by designers Kate and Jason Maine. The Parisian kitchen of Iksel's owners, Dimonah and Mehmet, who have studios in both Paris and New York and divide their time between the two. Do you ever see something coming around and you don't know what it is exactly but you know that you like it and you need to know more? 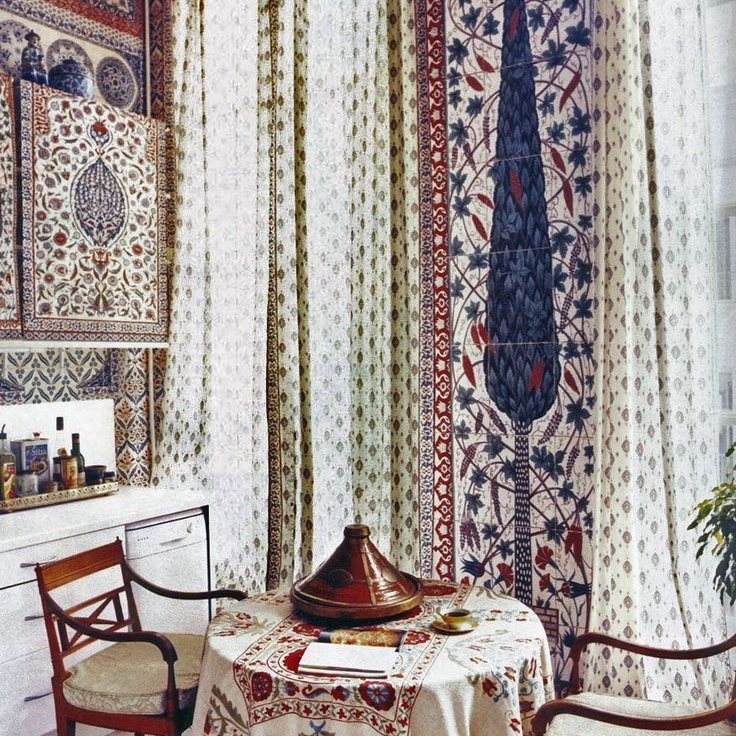 That's Iksel Decorative Papers for me and, specifically, their Iznik panels. 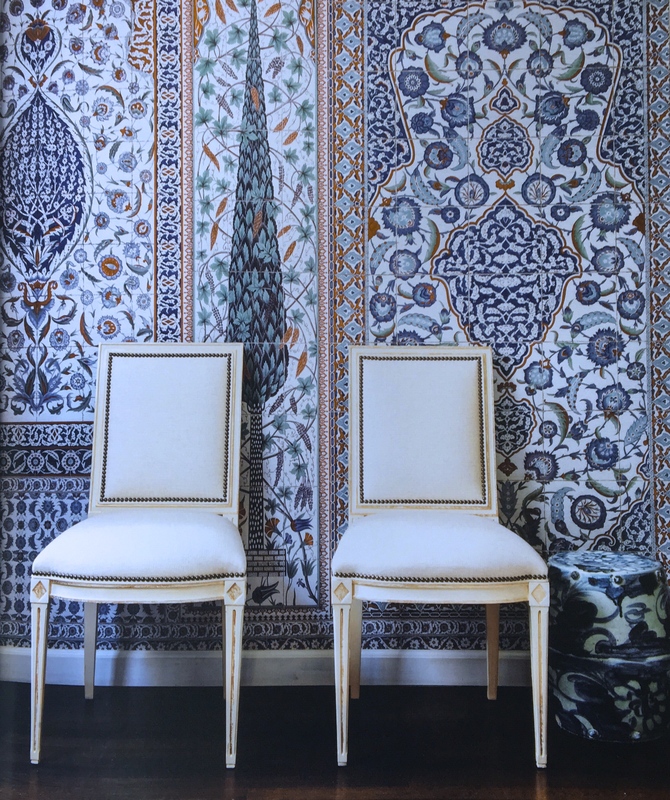 After three of my favorite interior designers had work published featuring these wall panels, I couldn't take it any longer -- I had to get to the bottom of it. I am pretty sure I saw it for the first time in 2012 when Vogue featured Daniel Romualdez's design of Tory Burch's then-recently acquired Hampton's estate. (Read the article and see the pictures here). From the pictures, I just assumed (wrongly) that her "custom panels" were ceramic, which at the time seemed probable and exotic and cool. When a living room by Miles Redd and then a dining room by Mark D. Sikes followed suit, I knew I needed to know. . .
Iksel Decorative Papers is a fantastic company that makes custom panels and has studios in Paris and New York. 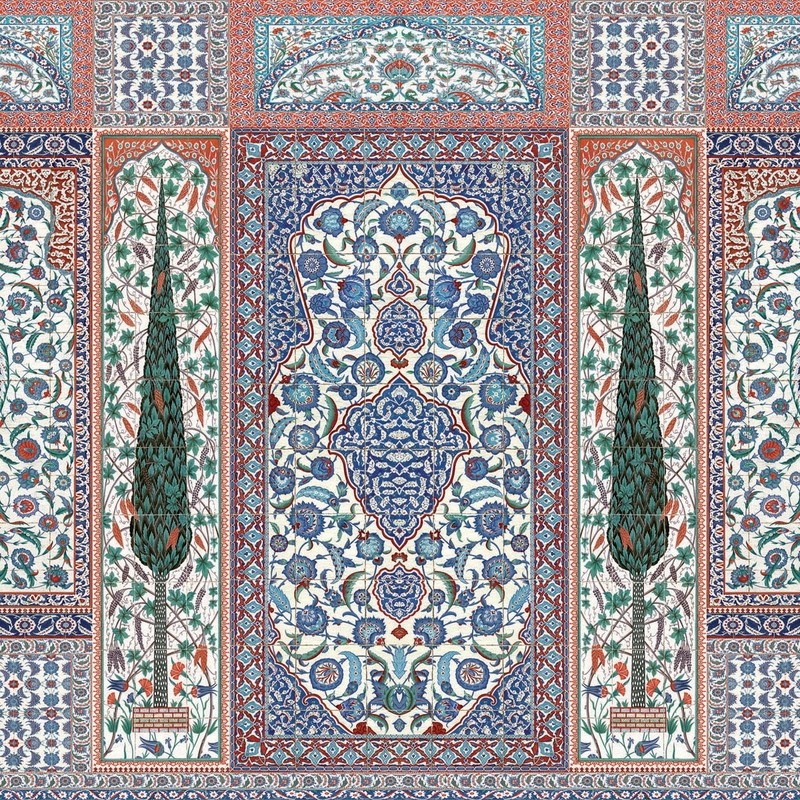 The offerings are far wider than just the ones based on ancient Persian Iznik tiles like those capturing the eye of Romualdez, Redd, and Sikes. Much of what they offer rivals hand-painted paper houses de Gournay and Gracie. Iksel, however, and unlike its competitors, is computer generated. I believe the Iksels, Dimonah and Mahmet, who own the company, would (and do) argue that their products are superior because their artists (they employ a multitude) are hand drawing on a computer which provides for so many more options for customization, especially in the printing process. What has captured my imagination is the fact that Iksel can be completely customized to each individual situation -- from kitchen to den - they can print on a variety of different media to allow for waterproofing or drapery and upholstery and even flooring. Literally, you name it, they can do it. Recently, Schumacher announced an exclusive partnership with Iksel to bring the standard collection of scenic papers to the masses. So, now, I am just waiting for the Iksel moment to present itself. . .